New frequency for TV 6 Lithuania: 11958.00MHz, pol.H (DVB-S2 SR:27500 FEC:3/4 SID:10300 PID:4701[MPEG-4]/4702 aac Lithuanian- VideoGuard). New frequency for TV 6 Lithuania: 11727.48MHz, pol.H (DVB-S SR:27500 FEC:5/6 SID:10300 PID:4701[MPEG-4]/4702 aac Lithuanian- VideoGuard). 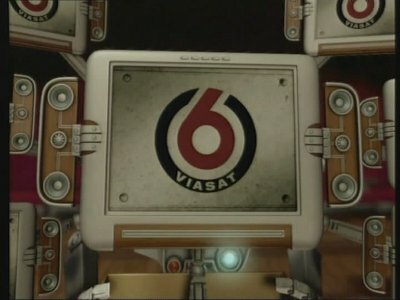 Viasat: TV 6 Lithuania is now encrypted in VideoGuard (11958.00MHz, pol.H SR:27500 FEC:3/4 SID:6350 PID:6351/6352 Lithuanian). Viasat: TV 6 Lithuania (Lithuania) is now transmitted Free To Air (11958.00MHz, pol.H SR:27500 FEC:3/4 SID:6350 PID:6351/6352 Lithuanian). Viasat: A new channel has started in DVB-S VideoGuard: TV 6 Lithuania (Lithuania) on 11958.00MHz, pol.H SR:27500 FEC:3/4 SID:6350 PID:6351/6352 Lithuanian.